I'm not about to be one of those 'new year new me people'. Like that's not what this post is (just before you go to click off it). Looking back on my 2018 it was a hectic year and I didn't really do much other than work, whilst everyone else enjoyed themselves and whilst this is great for the bank and the boss, I do wish I got out a little more (only a little because you know, massive introvert). So I thought I'd share my 2019 goals with you here and we can all just lol over the fact that I'm probably going to forget about 90% of these goals. 1. I am going to stick to my flipping newsletter this year!, I'm currently designing a template for it as well so it'll be fresh each month, I was struggling to find content but I think I've cracked it now. They'll be sent out monthly, I'm hoping on the 30th of each month so starting with the end of January, I'm not going to give too much away with it so you'll have to sign up to get a sneak peek of it. You can sign up for that here. 2. 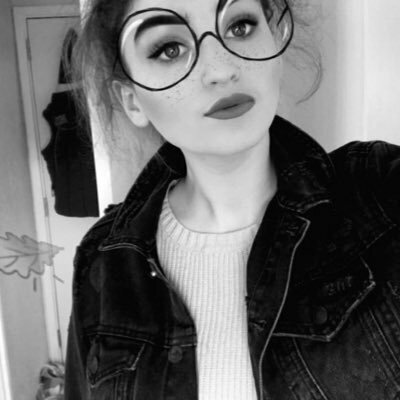 I really want to get more practice in, in terms of make-up, I do feel like I'm slowly improving but I'd love to be able to boss a cut crease by the end of this year without looking like I've headbutted a palette. 3. I'll try my hardest to publish at least one post a week. This was definitely something work got in the way off, I went over a month without publishing at one point. Working nearly every day and then playing 'catch up' with everything else on days off just left me with no time. This year I'll be making sure I have more time to do the things I enjoy. 4. I'm ever so slightly, maybe thinking of doing some exercise (did any of you collapse then, or?). I haven't done any for about 4 years and it's bad when you start to miss doing it but don't get your hopes up. I was thinking of joining a local running club and I'm dragging one of my friends along with me. 5. Following on from that I'm going to try and just eat etc a little better (I know, first exercise and now this, my organs are in meltdown right now). I've pretty much messed up my eating schedule like a lot from working constantly, sometimes it's too busy for a break so you don't end up eating until like 5 and when you do it it's just whatever you can grab because you're so starving. Now obviously, I'm not going to be able to change the hecticness of my workplace but I can make better choices and instead of grabbing a share bag of Doritos and a dip I'm thinking I can take some light meals to work like pastas and salads. I also got a slow cooker for Christmas so I'm really excited to start using that (next level adulting) and having it on whilst I'm at work ready for dinner when I'm home. 6. SELF CARE. Again with not having much time I wasn't really giving myself 'time out'. This year I want to be able to just chill a little more. My plan generally is to give myself at least 2 full days off a week and I want to be able to just take at least one of those completely to myself. I got some really nice bath sets for Christmas and I also picked up a couple of bits from Lush just before Christmas so I'm hoping to make my way through those bits. 7. Again, SELF CARE but this one in a slightly different way. I feel like in the last couple of years I've been able to finally put myself first more but I'm still getting there with it. Basically, I'm really sticking to my guns on the work front this upcoming year, I'm going to learn to say No a little more. If I don't want to work I won't but most importantly I don't want to feel guilty about saying no which I do feel like I've worked a lot on in the last couple of months so I just want to keep that up. I also feel like I'm generally starting to appreciate myself more which I'm honestly so happy about because honestly, I'm a massive people pleaser and I always want to keep everyone happy. I'm not being like a bellend about it but I'm just like so what if someone doesn't like me (for example) don't caré and I'm so proud of myself for that. I found this idea on Pinterest and I really think everyone should try and Include them in their diaries. 9. In terms of my blog I'd love to work with some more brands in the upcoming year, I've dipped my toes into doing this over the last year and I enjoy it so, so much. Whenever a brand emails me I literally act like a 6-year-old on Christmas day, I've put so much work into this blog so being able to collaborate with brands and watching it blossom into something generally makes me so proud, You can find out how to work with me here. So as usual, I truly hope I can stick to these and I'll look back on them next year and let you know how I've got on with them. What are your goals for 2019?. Here we are again!, I fully intended to be doing these posts weekly but here we are, In my defence - I'm moving house (yes this close to Christmas I'm dumb, ok?). 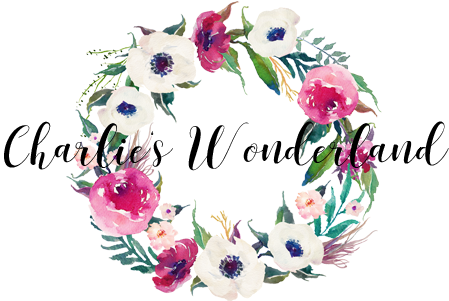 So blogging has sort of just gone down like a lead balloon so far, on top of generally just having no time at all, I had so many plans that have been bulldozed over by essentially the move but anyway, Here's Blogmas so far. I'm so excited to be getting back into the festive spirit. I did want to do 'Vlogmas' but I don't really have a decent enough camera or editor so I'm going to merge the two - usual posts but with mini vlogs and time-lapses added in (I'm really treating you here). There's been a few weeks of rain (she says like she doesn't expect that from Cornwall) but the other day was literally so lovely which was actually moving day (I'll chat about that in a sec) so we was really lucky, so we had a lil walk beforehand and it was actually so, so nice. So, I made a lil timelapse of me putting the tree up which was hella stressful and even before the move I had to take it down and re-do it countless times because generally, it just didn't look right (I like my tree to be perfect). I only waited 2 days after the move before whacking my tree back up because I thought if it wasn't done then, it wouldn't have been done at all which was right because it's been non stop around here with decorating. Luna has, of course, ruined my tree daily since it's been back up. Oh, the joy of cats and Christmas trees. Earlier on, as myself and Jamie were heading into town we got a phone call from a landlord, offering us a flat. We've been after one for a while and this was just completely out of the blue (We applied for it in September but someone else took it - it's now come back up!). We're absolutely thrilled; we view it at some point over the next couple of weeks!). We've started packing and whilst I'm going to miss our little cosy flat (I've cried a lil' ngl) I'm excited about a new chapter. So today is the first day everything in the new place is put away in its place, I've popped my tree up and slowly started with glossing. The last tenants didn't leave this place in the best state so the last few days has purely been scrubbing and using buckets worth of Detol on literally everything. There's still plenty to be getting on with as well. However, I've spent a good 3 hours today sanding and glossing (one door) and I'm making a start on giving the place as much TCL as I can to make a house a home. It's the most, wonderful time of the year which can only mean one thing, manic present shopping. Every year I find myself scouring blogs for gift guides to save me the hassle of 15 hours scrolling through Superdrug, Boots, ASOS, Beauty bay and 50,000 more online stores. I also like to see where people are shopping and what gifts they have their eyes on (I'm nosey, okay?). I'm going to keep this year under a budget of £15 and I have a little giveaway for you as well. A little gift that you can either re-gift or treat yourself with, I'll talk about it a little at the end of the post. Who doesn't love a good gift set?, they're always my go-to for if I'm a bit stuck on an idea. So I've had a little scourer through my fave sites and I've found a couple perfect sets. 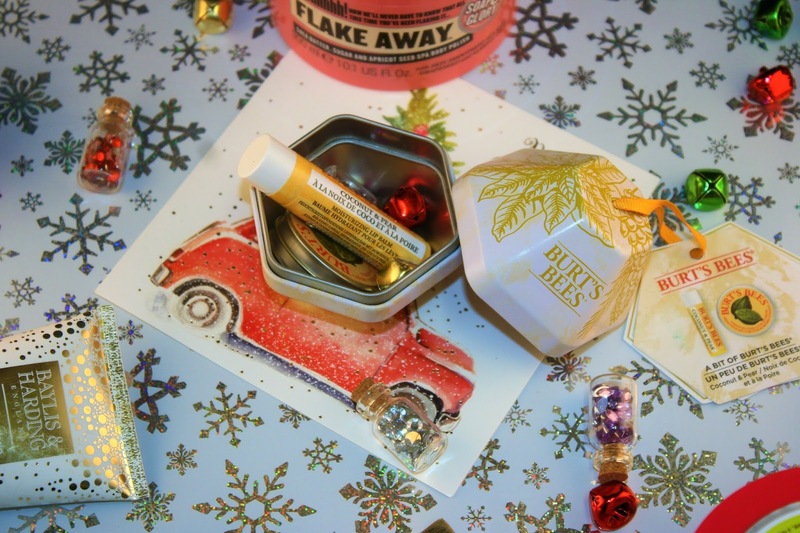 I absolutely love Burt's Bees and this year they've smashed it out the park with their Christmas range. The 'Bit of Burts' bauble is absolutely adorable at under half of our budget for £7, it includes a lip balm and a cuticle cream which our 100% natural which is perfect if you're shopping for someone with sensitive skin and it's an adorable little stocking filler or secret Santa. 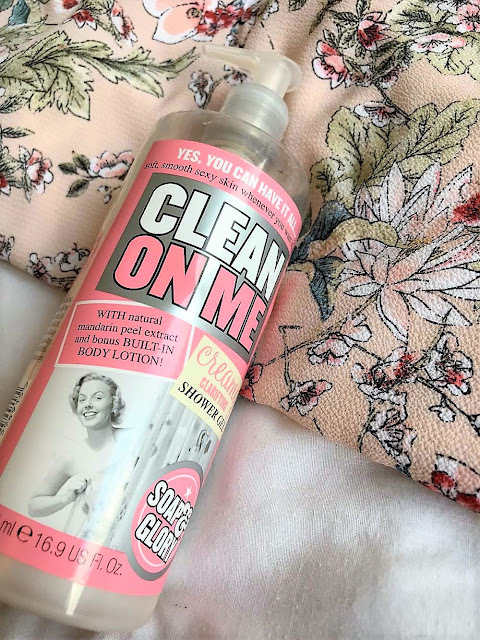 You can grab this from Holland and Barrett for £7. This adorable little gift will be included in my giveaway, I'll chat about that at the end of the post. Every year, I get at least one set from Bayliss and Harding and I'm always so happy with it. I absolutely love the brand and the gifts are super affordable!, I've picked out one of my fave gifts from them which was the 'festive feet' gift set. It comes with a pair of fluffy socks (who doesn't love a good pair of fluffy socks), some foot scrub salts and a moisturiser and it all smells absolutely gorgeous. It also won't be breaking your bank at £4.29 from Amazon. Sticking with Bayliss and Harding I've picked out this fuzzy duck hand duo set for you and guys, it's adorable. The duos always come on sturdy trays which is nice and they always look great on display. 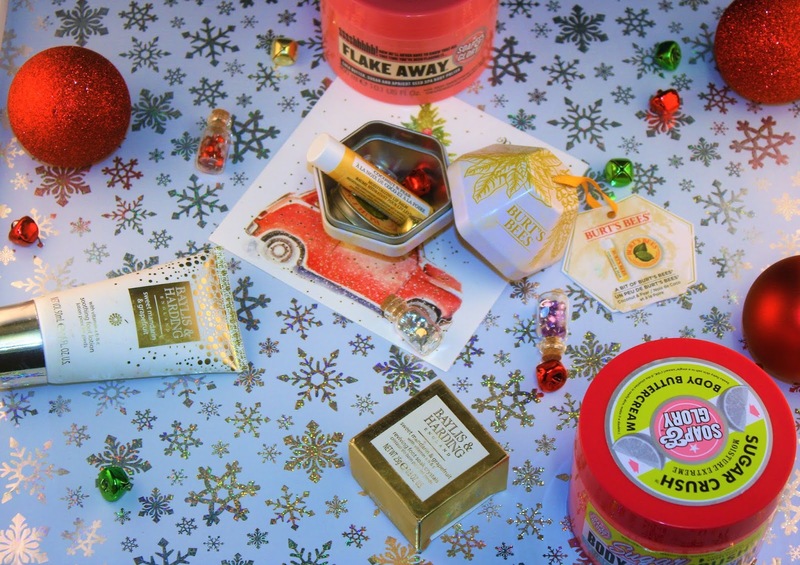 This packaging is literally adorable, the scent mulberry and Christmas tree's which just sounds mouth-watering. you can grab it from Amazon for £8. 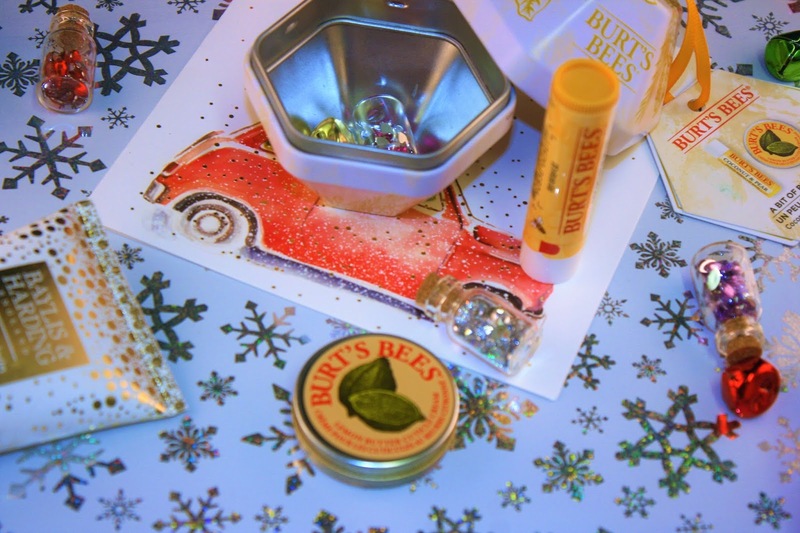 Soap and glory is another that always springs to mind during gift shopping, they have the lovliest products and they just knock it out the park every year, I've picked out the 'Zest of time' gift set which is one of my favourite scents (Sugar crush). I've got my eye on this for myself, you can grab it form boots for £10. Fragrance can be a tricky one to get right, so I've picked out a couple of scents I think a lot of people would like. I absolutely love all these personally, what's your fave perfume?. I've tried the Missguided perfumes before and they honestly didn't disappoint, they were all I wore until essentially they ran out, I absolutely loved boss babe and it's actually still on my Christmas list for this year, so as you can imagine I lost my tiny mind when I saw they had mists out now!. I generally can't express enough, that this is my fave new body mist. I literally use this daily and it's constantly in my bag. I feel like it's the perfect daytime scent, I love the packaging like it's so cute and the complete Instagram dream. I also love the name of it (it's so thank u, next). 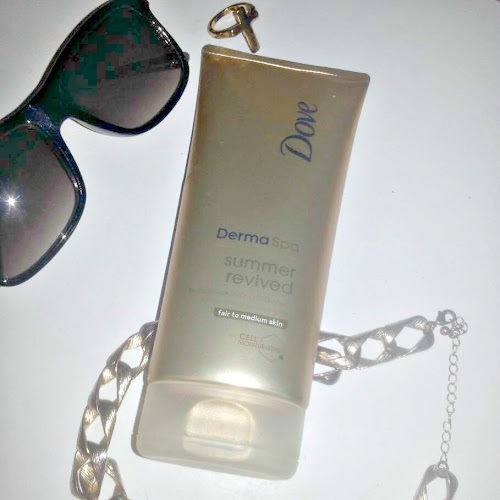 you can grab this for £10 at Superdrug. Here's the section for all you beauty lovers. 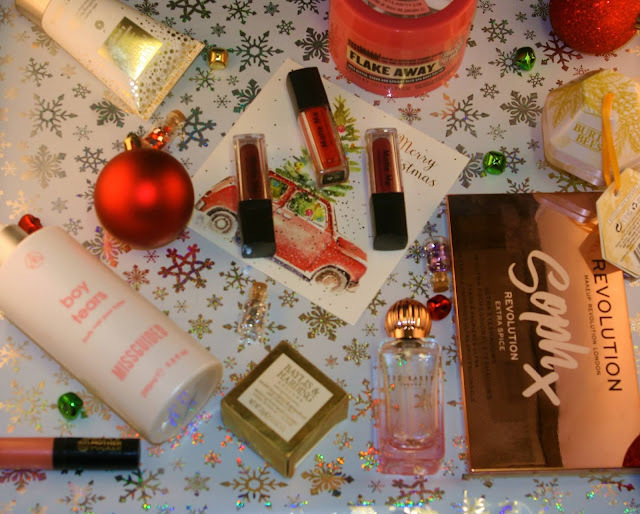 I've picked out a few of my favourite make-up sets for you and trust me it as hard to stick to just 10 for this gift guide altogether, I found like 40 gift sets for beauty alone. As soon as I saw this in Boots last year, I grabbed one for myself. £4.50 for 4 mini sleek matte lippies bargain. I love the Sleek lippies for so many reasons so this to me is an ultimate bargain. 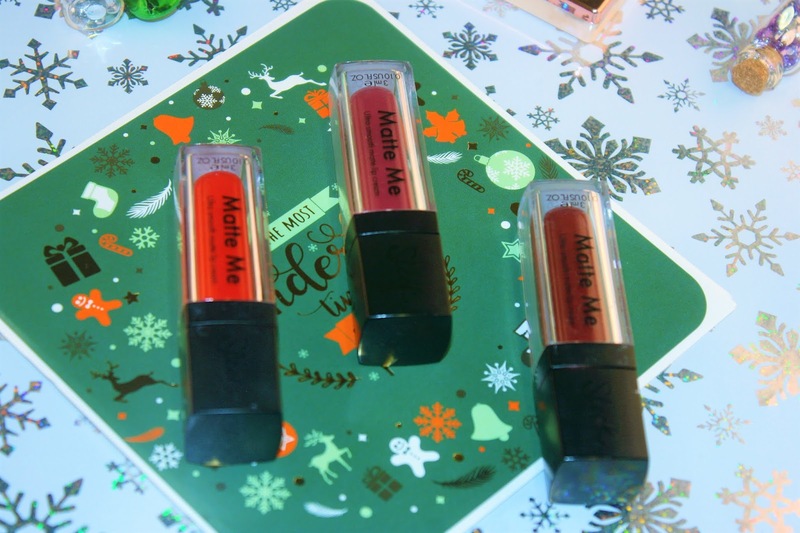 This particular set comes with two metallic lippies and two mattes. You can grab them from Boots. The perfect gift for any makeup lover, This palette is full of bold shades and it's absolutely perfect for the festive season. The pigment is amazing and the palette itself is just so pretty. 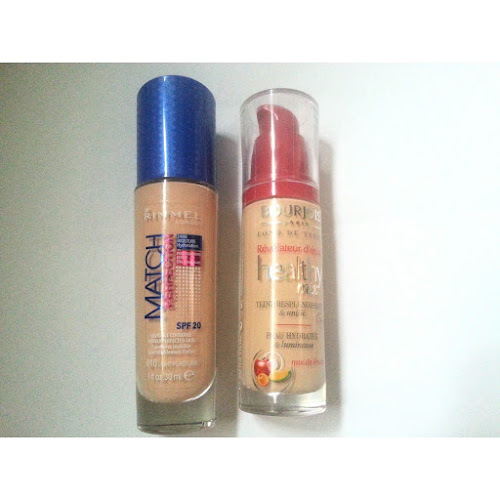 The vibrant colours and the great quality of this for £10 from Superdrug, you can't go wrong. I wrote a full review on this here. 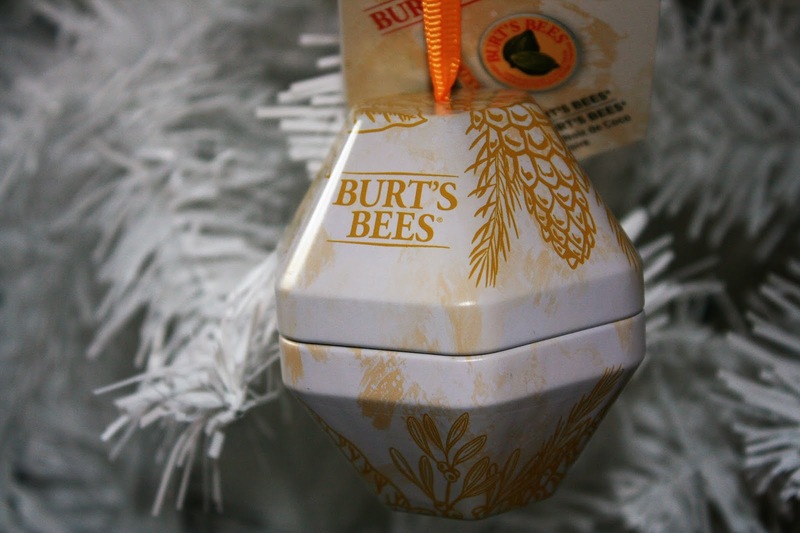 I'm going to be giving away the Burt's Bees bauble to one of you lucky guys!, It's in the scent coconut and it's a lovely little gift, you could treat yourself with it or wrap it up for someone else!. You can enter the rafflecopter below to get involved. t&cs - UK ONLY, ENDS 13TH DEC, IF WINNER CAN'T BE CONTACTED WITHIN A WEEK THIS WILL BE REDRAWN, GOOD LUCK LOVLIESS X.